Hope you're not bored by my consecutive lippy posts not to mention they are all about bright colors. But I have quite a few lippy drafts sitting on my dashboard at the moment. Plus I am resolute not to buy any more lip product until I publish all of them. I want a new lipstick. I had to do this. I have briefly reviewed on the first two I bought - Barcelona Nights & LA Exclusive, and decided to pick up another one, India Intrigue. 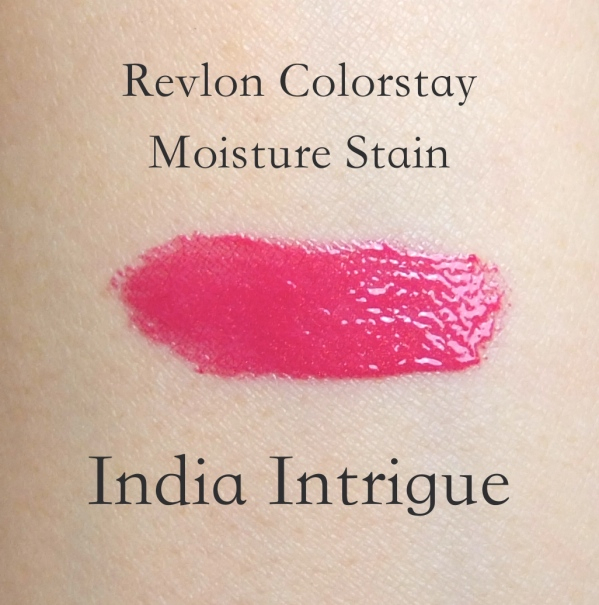 My opinions on Revlon Colorstay Moisture Stains are unchanged. It may not be the smartest move for beauty blogging, but adding more colors makes sense to me as long as I find the formula satisfactory. Please consider this as a quick swatch/look post as I have pretty much covered the formula and the wear in my previous review. The big fuzzy applicator with a pointy tip is identical to the YSL Glossy Stain's. India Intrigue is a cool toned deep berry pink with shimmer. The shimmer is not very visible. The color deepens a bit and turns more purply soon after. I like the color India Intrigue a lot. It is a perfect berry color to sport in the fall. It is a foolproof brightening shade for cool-toned ladies, but I've seen the color looking amazing on olive skin as well. Being moisturizing and long lasting, Revlon Moisture Stains require very low maintenance, in my opinion. 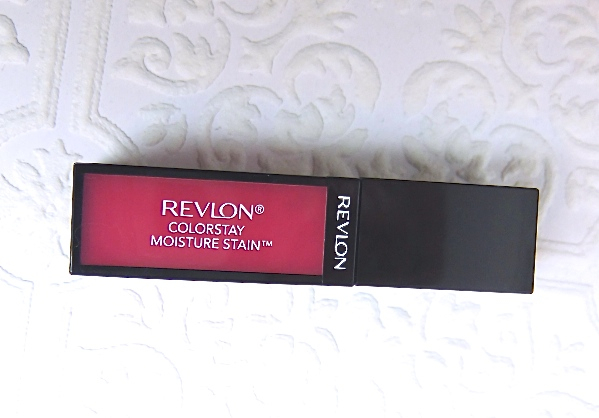 Have you tried Revlon Colorstay Moisture Stains? OOO India Intrigue is a sweet shade! It'll feed my current berry obsession nicely :) I love it on you! Really pretty!! Love it on you! I like these a lot too. Need more! Oooh, so pretty! 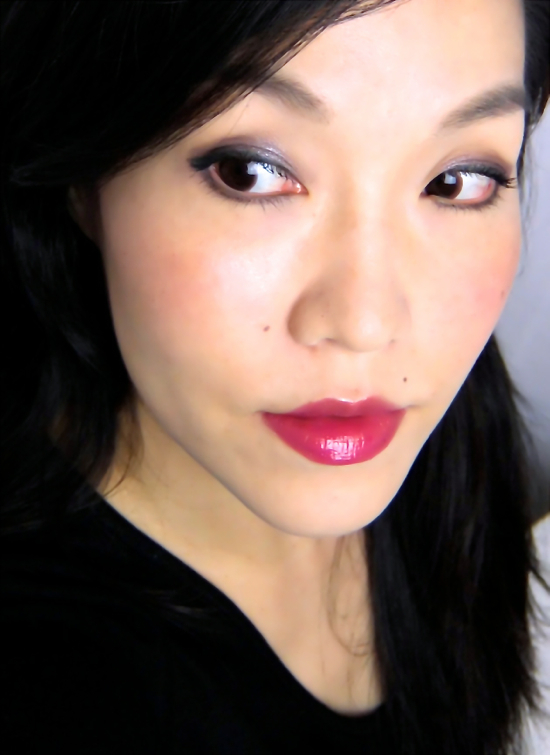 I think my Lancome lip lover is exactly this shade and finish, haha - I should pull it out again. Can I say that I haven't bought any of these just because the packaging turns me off? T_T So boxy. But the formula itself seems so nice! Oh, the Framboise Etoile? Then you've just saved my money! ;D That looks gorgeous on you, I remember. For some reason, it is always easier to find good ds lippies than eyeshadows. I wonder why. That's a shade with a lot of oomph! Very pretty on you :) You wear bolder colours well. The color is gorgeous!! I just received two to try but I feel like it stings my lips! I had to wipe it off within 5 mins :( I'm not sure if it's just me. I have Paris, Stockholm and Milan. I didn't think that I'd like them very much but they're growing on me more and more. I'll definitely pick up India and Barcelona in the future. So nice and brightening! I think the initially lumpy application could be a turnoff for some, but it quickly warms up and stays comfortable on me. You always look so pretty in these glossy pink colors! India Intrigue definitely looks darker and redder on your lips than I would have expected. I haven't tried the Revlon Moisture Stains yet, because I gravitate toward matte and satin finishes in general, but I might pick up Barcelona Nights come spring! I am so intrigued by this range, and considering that you have started quite the collection, I definitely need to check it out the next time I'm in store! Wow, this shade is freaking amazing! It's not translucent at all like some other shades (although I love the semi translucent quality). The color is just so beautiful and it looks amazing on you! I've sadly yet to try any of them yet though! It is really a nice lippy range even to compare to higher-ends. Give them a try when you get a chance. I think you'd like them. 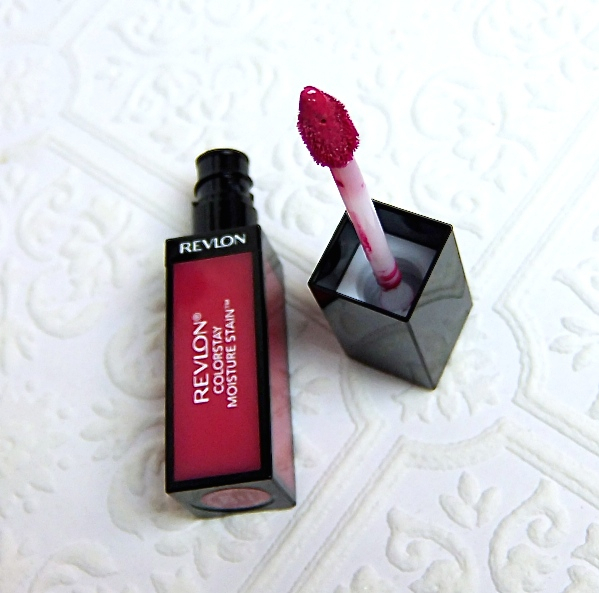 Def' a perfect berry shade for the fall! This is something I want to try but not available here. Sometimes I don't know what Revlon is thinking. Most of the good stuff we don't get! Revlon is my favorite drugstore brand but they don't seem to do very well in Asian countries. They came in Korea twice and folded out the both times. ;-/ Maybe the same reasons you mentioned! I personally think the whole color range leans too dark and brownish so I won't pick up anymore soon, but I really like the formula. Ack - I *really* like this shade!! I totally want to try one of these out, but I need to do a bunch more research first. I know that sounds dramatic, but they're $30 each here, so a rogue's gotta make sure she divvies up her gold wisely ;-) The colour is gorgeous on you! I haven't tried these, but I have been seeing more swatches popping up lately and they are so pretty! I love your FOTD. Ooh! Yes to India Intrigue! Looks stunning on you!